Mount Vernon Lodge No. 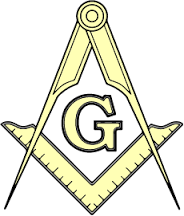 219 goals – Mount Vernon Lodge No. 219 A.F. & A.M. Note: We Have Come a Long Way!!! Support the District and Grand Lodge events!!!! Ladies Night, Bring a Friend Night, monthly breakfasts, shooting/Bull Run, picnics, fellowship, etc. 50/50 Raffles, Flea Markets, Yard Sale, Stewards Box contributions, Builders Club, etc. Other opportunities – Lodge shirts/hats, fund raisers at social events like shooting clays at Bull Run, etc. Build ties to Mt. Vernon – if possible – this has been difficult but we should continue. BOTTOM LINE: Put in place the foundation & framework (the leadership, processes, plans, redundancy, rigor & regularity) to build upon so the Lodge continues to succeed and grow for years to come.